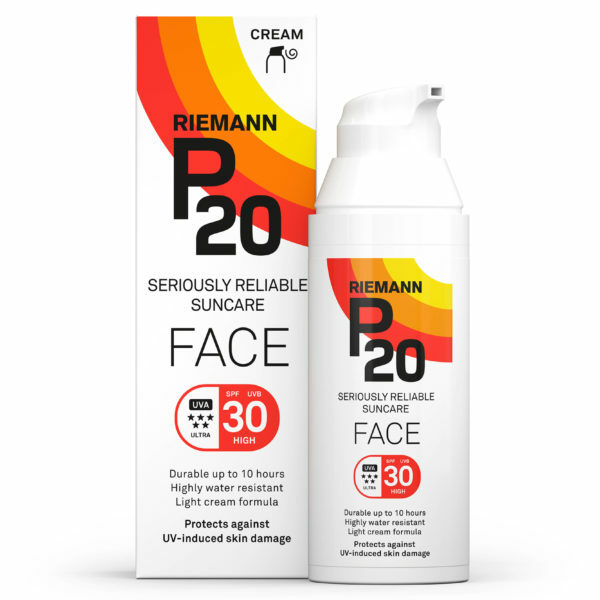 P20 FACE SPF 30 comes in a light cream formulation developed specifically for your face and can protect you against UV-related skin damage and premature aging. With P20 FACE SPF 30 you get reliable UVB protection and the highest rated UVA protection available. Sunscreen factor 30 is recommended to you, who need extra protection and have a light or pale skin; skin type 1-2. Read more about skin types here. We always recommend using high sun protection for children. With SPF 30 children will be well protected for outdoor activities.